Prominent & Leading Manufacturer from Delhi, we offer dishwash making classes, toilet cleaner making classes, detergent powder making classes, handwash making classes, laundry wash making classes and floor cleaner making classes. 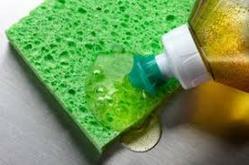 Dish washing liquid is used to assist in dishwashing. It is usually a highly-foaming mixture of surfactants with low skin irritation, and is primarily used for hand washing of glasses, cutlery, plates and cooking utensils. Just like any other places, the most prominent part is the bathroom and toilet. If it is brownish colour due to hard water mineral deposits, how can the person feel? No one likes the bad odour and the dull coloured toilets. To give a great look and fragrance to the toilet sheet, toilet cleaners must be used. So that, the toilet look grand new; and give comfort to the users – no matter whether it is an Indian style or a western style. Such kind of great toilet cleaners can be prepared at home if you learn the course from CSDO. 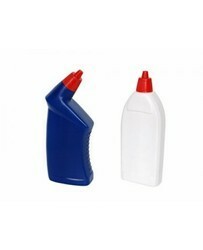 The training team of CSDO helps you create such amazing toilet cleaners to give your toilet a new look and fragrance. Instead of buying other products from the market, you can do it yourself after the training from CSDO. Mixing of all the composition of raw materials and prepare the Low, Medium & high ranges of Detergent Powder. Learning the production & packaging of Detergent Powder. Hand washing or hand hygiene is the act of cleaning one’s hands with or without the use of water or another liquid, or with the use of soap for the purpose of removing soil, dirt etc. 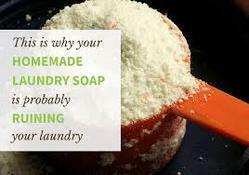 Laundry wash is a type of cleaning agen that is added for cleaning laundry, commonly mixtures of chemical compounds which are similar to soap but are less affected by hard water. Keeping floor clean and shiny is a kind of art. Not all only few people are able to do this job. Though sweeping and cleaning through vacuum is done, still dirt or germs, as well as sticky or stains on the floor remain as it is. 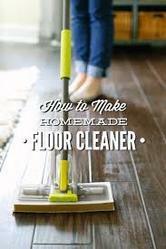 If you wish to make these stains vanish, you need to use certain great floor cleaners. These floor cleaners are such that, no residue of anything is stick to the floor and your floor simply glitters like a new tiles. This becomes possible when you prepare these floor cleaners by yourself. If you don’t have idea, seek help from CSDO. This institute constitutes several courses, and out of which is the making of floor cleaners. You can simply grab the great ideas from these people by enrolling with them. CSDO charges less or minimal course fee to train you on preparing the floor cleaners. Looking for PROFESSIONAL HOME CARE PRODUCTS MAKING CLASSE ?